The Transition was not the model period that many politicians proclaimed, but a conflictive and tragic period in which dozens of people lost their lives trying to establish the fragile freedoms that we were beginning to recover in the face of those who defended the survival of a Franco regime without Franco. Yolanda González Martín, a 19-year-old student from Bilbao, was one of those anonymous fighters. She was neither the first nor the last victim of that turbulent time, but the circumstances surrounding her brutal murder in Madrid in February of 1980 made her the symbol of a generation of young idealists who took to the streets determined to change the world. The testimony of her siblings, her fellow activists, the lawyers who fought tirelessly to find the perpetrators, and of other notable figures of the time, together with the unpublished documentation recovered by the author, retrieve for readers this terrible story, whose echoes of impunity extend to the present day. Because there are stories that deserve to be remembered. 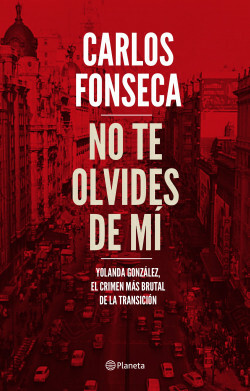 A very well documented work with sources from relatives, political comrades and even following the trail of the murderer in Paraguay.